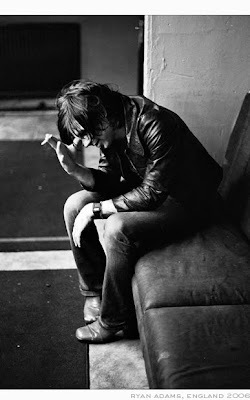 Ryan Adams has received his share of praise over the last fifteen years or so. Heck, two years ago, Katie and I even titled our singer-songwriter column after Whiskeytown's Strangers Almanac album; we often talk about our love of Adams on our Facebook page, which is inching closer to 5,000 fans day by day. It's not a secret that fans (like us) spend a lot of time trying to determine the oft-times enigmatic Adams' next move or to figure out a way to catch his contagious spirit, even for just a fleeting moment, before letting go. 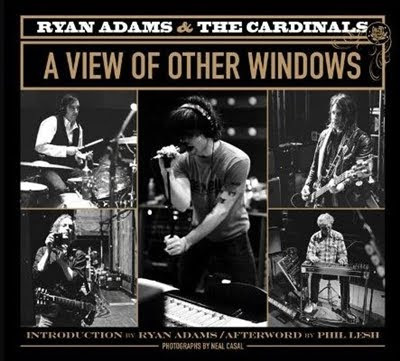 Now, Neal Casal has offered us personal access into Adams' world with his band, the Cardinals, through his new book, A View of Other Windows. Now available on Amazon, the book illustrates Casal's firsthand view of life as a member of the Cardinals. 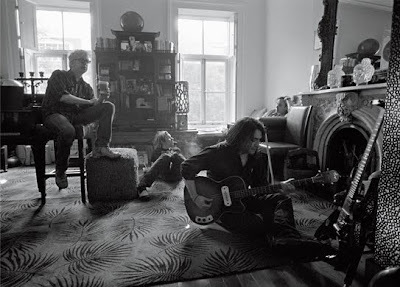 Two hundred photographs deep, it's a fascinatingly intimate look at Adams, Casal, Jon Graboff, Brad Pemberton, and the late Chris Feinstein. Casal, besides being a rad guitarist, singer, and songwriter, is also a hell of a photographer. A View of Other Windows shows off his talents behind the lens, and it's a memorable look of all things Cardinals: touring from city to city, recording in the studio, and simply enjoying life in general. We are equal parts downright floored and genuinely psyched to chat with Casal about his new book. 1. 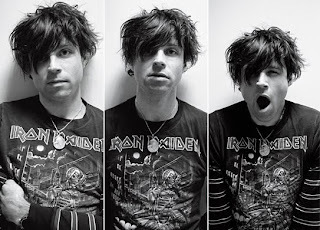 In the preface for A View of Other Windows, you write about meeting a twenty-two-year old Ryan Adams for the first time in 1997: "His presence and wild creative energy were already fully formed. It took less than a second to see it." Can you talk a little bit more about that first meeting? Every once in awhile you hear a record, read a book, see a film, or in this case, meet a person, who has the spark of greatness, and it's something you see instantly. It's not something you have to guess, talk, or deliberate about. Ryan was, and is, one of those people. When I met him, I knew instantly that the guy had something really special. He was incredibly intelligent beyond his years, insightful, and really hungry to make great music. Sparks were flying off the guy. His talent was staggering. We met on a street corner in Austin, Texas, at the SXSW festival in '97. We hit it off instantly, and we hung out a bit that weekend, did some drinking. Whiskeytown had a couple of showcases, and I watched them play when I wasn't doing work of my own. 2. How did you go about capturing his unique presence with your camera eight years after you intially met him? 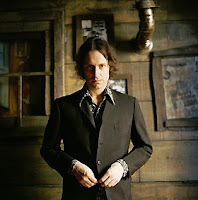 I approached photographing him in the same way that I approached the way we played guitars together. I liken it to diving off of really high and dangerous cliffs. He was always playing this game with me, seeing how high he could take me, testing to see when I'd get too scared and back off. Thing is, I never backed off. I'd just say, "However high you wanna go, I'll be right there with you, you will not be able to shake me." So he'd jump, and I'd jump right after him, and we'd do this dance in mid air together, and when it was really firing, it was quite a thing to hear and see. In reality, I'd never been that high before, because I had always been trying to get there alone. But when I joined the Cardinals, I realized there's no way you can reach heights like that on your own. You need magical partners to do it with, and Ryan and the other guys turned out to be that spark for me -- always pushing me to new heights. So, y'know, we would do this dance day after day, night after night, in the music, in our lives, and in the photographs, too. 3. You also write in the preface that when you first became a member of the Cardinals, you "became obsessed with the idea of documenting the very band (you) were playing in. Photographing from the inside out." What do you remember about those first days together? What about the band's formation sparked this energy? As far as the photographs go, I was just doing what I'd been doing for years before that, which was simply to document every day of my life. So, naturally, I documented my life in the Cardinals from day one. My long term plan is to take photographs of every interesting thing I run across. So when I joined the Cardinals, it was great, because EVERYTHING involving these people was interesting. It was just one mind blowing thing after another, and I photographed it all. I’d never been involved with anything like it. 4. Did you immediately learn more about yourself as a musician and a photographer once you all started playing together? Without a doubt. Playing with these guys raised every part of my game by a million miles. I was alright before, but the Cardinals brought things out of me that I never thought possible. That's what happens when you're involved with something that is truly great in every sense of the word. We all did that for each other. Everyone really fed off that great creative energy we had. 5. Many people are aware of Ryan Adams' persona, which may not genuinely reflect his personality. Was it difficult to catch him in a totally true and relaxed moment? Ryan is an extremely complex and dynamic person, and I was just rolling along catching whatever moments that arose. He was very easy to photograph and never once asked me to put my camera away. I captured many true and relaxed moments because we lived together in very close quarters for a long time. That's the difference between me and photographers who get sent out by magazines to photograph him for 15 minutes, or an hour, or whatever...I was actually in the band, so I had access, and a trust, that no other photographer could get. 6. Throughout the book, we are told by Jon, Chris, and Brad that they hardly realized they were being photographed. How did you accomplish that? I wait for the right light, and I work in silence. What I’m looking for happens so quickly, there’s no time to talk about it. After awhile, people forget that I’m even there. I prefer it that way. 7. Did your methods evolve as you learned more about the band members' personalities? It’s hard to say, I may not have true perspective on that question. I like to think that my approach is the same in every situation. I do my best to stay open to whatever arises around me, and that in itself is the method. I don’t have specific thoughts on how to photograph a certain situation or anything like that. All of those things are open to change on any given day; it’s much more interesting that way. 8. 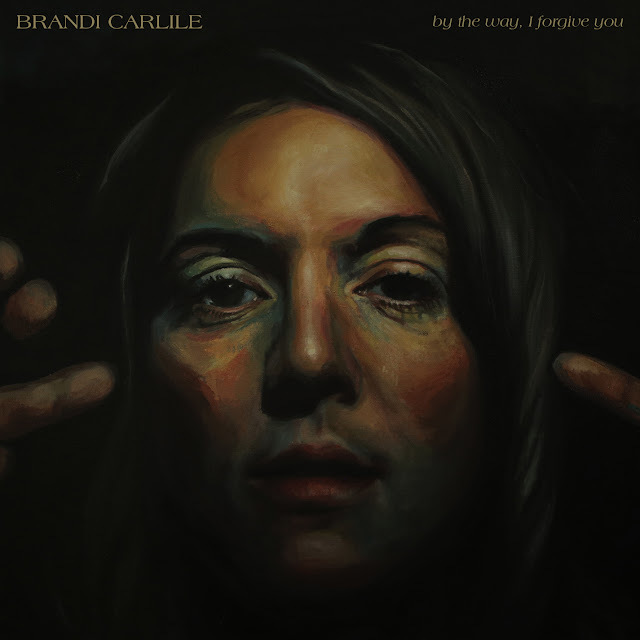 Two of your photos were used for album covers (Easy Tiger, Follow the Lights). How did the band decide to use them for album art? That was mostly Ryan, who championed my photos from the very beginning. The rest of the band were so supportive as well, always pushing for my photos to be used for different things. They just thought that if we could keep as much of the creative process in house, then the better it would be for everyone. I'm very grateful to those guys for that. 9. When you first saw the finished product as a book, what were your first thoughts? 10. If there is one thing you want people to take from the book and pictures -- the story through your lens -- what is it? I guess I would want people to know how much I love these people. I think that’s the core of this whole thing.